The interview covers Cédric's background and reasons for starting his company Shibuya Productions, and he talks about some of the guests and goals of the MAGIC event. I have translated the article from the original Japanese, starting below. MAGIC is a relatively young event that began in 2015. 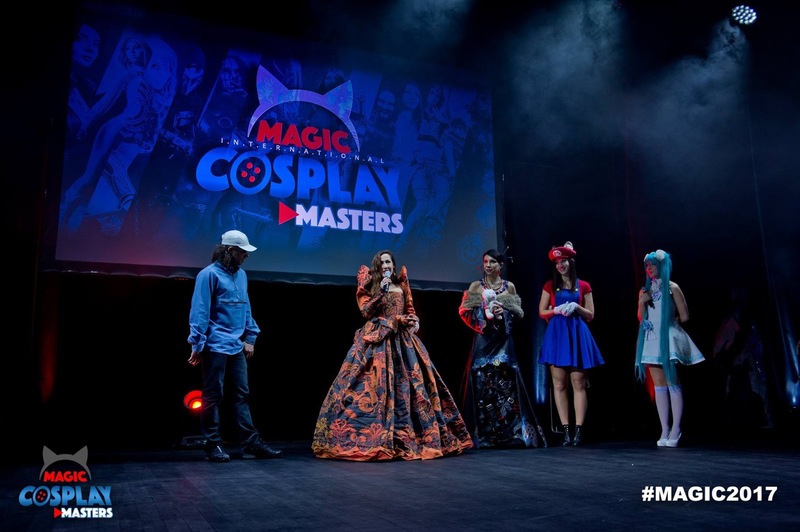 It is organized by Shibuya Productions, a company with its headquarters in Monaco that deals with game and anime projects, and has guests invited from around the world including manga artists and game creators, as well as lectures and signing events. Taking part in this year's event was Japan's Tetsuya Nomura from Square Enix, who mingled with the fans. The venue, the Grimaldi Forum, is located by the sea. It is a distinctive building constructed with glass walls. Next to the Grimaldi Forum is a Japanese garden in which cosplayers enjoy filming. The garden was built after the wishes of the late Princess Grace who had wanted to create a Japanese garden in Monaco. The design and construction were overseen by a garden designer from Japan. MAGIC 2017 cosplay contest. There were many cosplayers based on Japanese-originating characters such as Mario and Miku (right). The prize was a plane ticket to Japan. Q: Could you tell us what kind of event MAGIC is, its goals and so on? 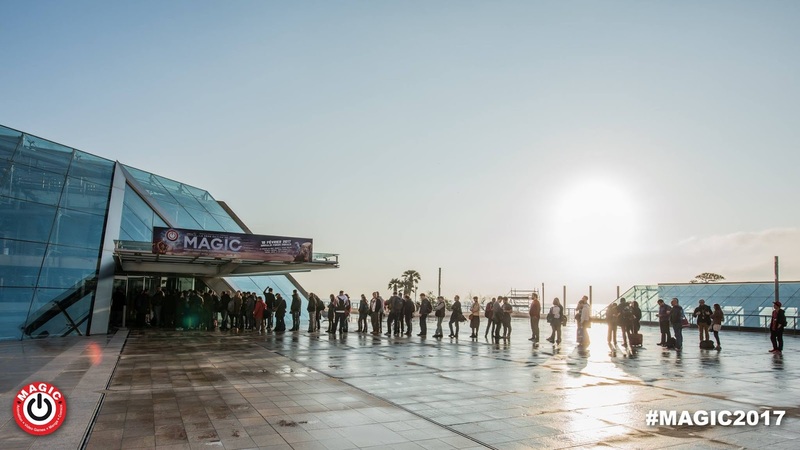 CB: MAGIC was created with the concept of "a small-scale, VIP event". It is centered around famous artists and entry is free, so we limit the number of attendees. By keeping the scale small, the attendees can experience the artists up close. 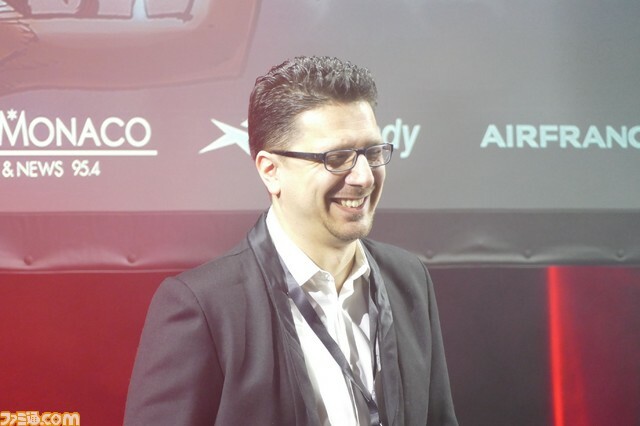 Q: Why did you choose Monaco as the location for the event? CB: In fact, originally I didn't intend to launch an event. When I established Shibuya Productions in Monaco I wanted to hold a launch party, and when I sent invitations to guests from around the world, the response was great. In that case, I thought "Why don't we invite fans along too" and this led to holding MAGIC. That's how it came about, and so MAGIC is about mixing with the fans rather than an event for increasing profits. Q: What sort of artists are invited as guests to MAGIC? CB: Those who are famous within the arena of world pop culture: anime, games and so on. It's not really based on whether or not they will be releasing something new during the year, I reach out to artists who I respect, and those who are known in French-speaking countries. Q: What was the reason that guests from Japan, Tetsuya Nomura and Hideo Kojima (who unfortunately wasn't able to come), were invited this time? 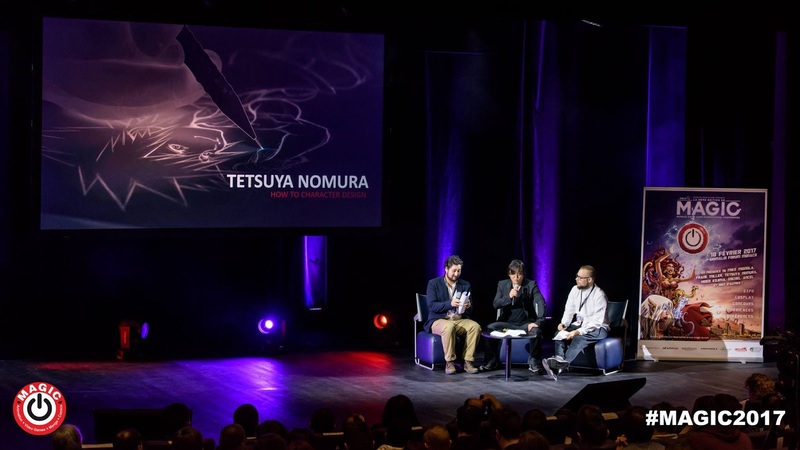 CB: Taking Mr. Nomura first, Shinji Hashimoto of Square Enix and Yoshitaka Amano came to MAGIC two years ago and afterwards I approached Mr. Hashimoto to express my interest in having Mr. Nomura come also. Mr. Nomura is an extremely well-respected figure in the game industry and rarely attends events, so I knew everyone would be delighted if someone like that came to MAGIC. For the first time in his career Tetsuya Nomura agreed to give a lecture, and in addition he revealed the world premiere premiere screenshot of Kingdom Hearts 3 as well as two exclusive screenshots of Final Fantasy VII Remake! Regarding Mr. Kojima, I am drawn to the way he has moved down his own path after going independent. Another reason is that I wanted to ask his opinion about Japan's game industry, since the game he is currently working on seems to be a mixture between a game and a movie. I think that although the video game scene in Japan was extremely lively during the 1990's and 2000's, that energy is now gone. I'm interested in creators with the power to generate something new under these circumstances. 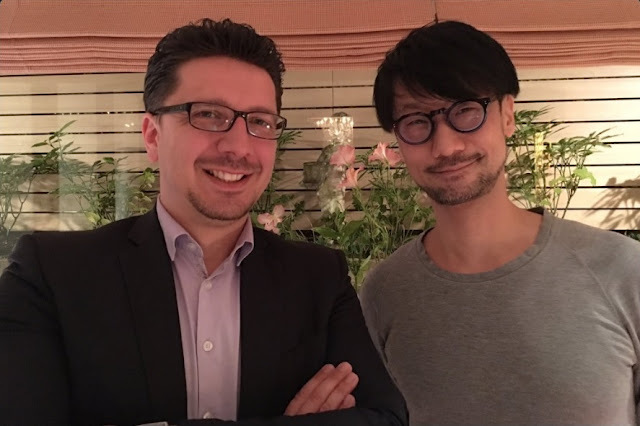 Cédric with Hideo Kojima. Kojima was unable to attend MAGIC 2017, however Cédric was able to meet him later in Japan. Q: You mentioned just now that the energy has gone from Japan's game industry. Could you explain your reasons for thinking so? CB: I'm a big gamer. I love Japanese video games so much that I used to order them from Japan to play them. Japanese games are distinctive and there used to be many great games, but from about 6 or 7 years ago the Japanese game industry started making their games like those in the West. Although it may have been a choice made unwillingly, it's as if the identity of Japanese games is being lost, and I think that's a pity. I think there are a lot of companies putting effort into mobile games, but mobile games and home console games are different things, and I think it's also a shame that the number of home console games is growing fewer. Q: Will MAGIC continue to be held going forward also? CB: In all probability I don't think it will be something that continues for a great number of years. Since it's an event formed around very distinguished guests, once all the artists I would like to call in the future have participated, I think I will cease holding MAGIC. Q: What is the reason you founded Shibuya Productions in Monaco? CB: I am French, and I often get asked by the media whether I chose Monaco as a tax strategy [laughs] but that's not the case. It's a complicated process for someone who's French to form a company in Monaco, and it's not a tax strategy at all. In Monaco no game or anime companies exist at all, just Shibuya Productions. So in Monaco we can stand out, and it gives us a good image. That's one of the reasons I founded it in Monaco. Q: What other reasons are there? CB: The second reason is that a great many businessmen gather in Monaco, so it's easy to talk business. And the third is being able to speak with all the top actors that gather in Monaco. It's easy to find people to perform in the anime with which I'm involved at the moment. Q: Currently at Shibuya Productions, you are making progress with new projects like Astro Boy and Cobra, aren't you (release date etc. pending). How did you come to be involved with these anime? CB: With Astro Boy, it was through my interaction with Tezuka Productions from when I was running Shibuya International (the precursor to Shibuya Productions). And when I founded Shibuya Productions, I spoke about wanting to make an anime like a Western version of Astro Boy. I wanted to make the design a little more Western and make a new story. I got the go-ahead for the idea, and now the project is moving forward. New anime Astro Boy Reboot, which is based on Astro Boy. Q: How about the anime project for Cobra? 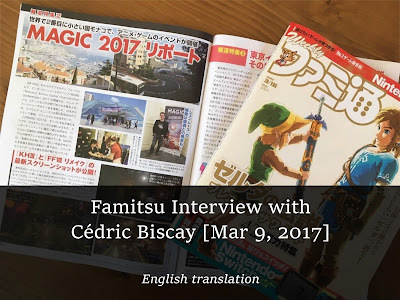 CB: It started when I contacted Buichi Terasawa, wanting him to come to MAGIC (※Mr Terasawa attended MAGIC 2016). Then, as we were making preparations for MAGIC, I had the idea of making a new Cobra anime and put the idea to him. The plan is to make the character designs close to the original. New Cobra anime, Cobra: Return of Joe Gillian. Q: It's interesting that new Japanese-content projects are in progress in another country - Monaco. CB: Shibuya Productions is a company I formed from a feeling of wanting to be a bridge between the West and Japan. I think that even better creations can be made if people from all over the world talk with each other, taking the best elements from each country. 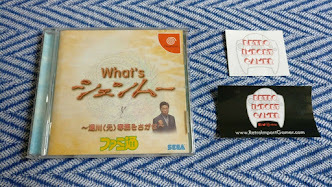 Q: Shibuya Productions is also engaged in the development of Shenmue 3. Why did you become involved with Shenmue 3? 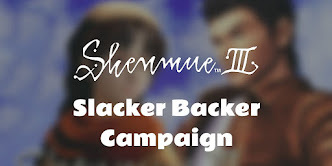 CB: I was originally a fan of Shenmue, and I thought it was a great shame that there was no 3 after playing 1 and 2. 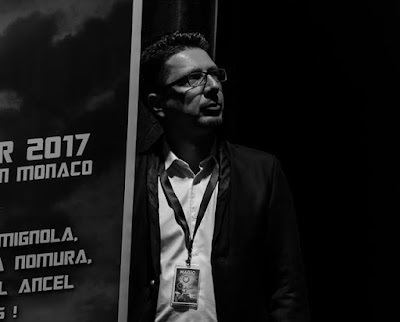 And so whenever I would meet Yu Suzuki at European events, as a joke I would ask him, "Is Shenmue 3 ready yet?" Q: So you already had contact with Mr Suzuki? CB: Actually Shibuya Productions had been working on another project with Mr Suzuki. While that project unfortunately didn't go ahead, I heard that the development of Shenmue 3 had become a very real possibility and decided to get involved as Shibuya Productions. That was before fund-raising began with Kickstarter. Q: What specifically is your involvement with Shenmue 3? CB: As a backer and as co-producer, I check whether development is moving along well or not. Q: Something that I think many fans will want to know is, how is the current state of development? CB: It's going smoothly! As long as Yu Suzuki doesn't break his wrist, I think things will progress as planned. Please look forward to it. Mr Biscay loves the city around Shibuya: "When I first went to Shibuya, it was quite a shock: many young people and twinkling neon. Shibuya crossing and Q-Front were especially impressive, and I dream of someday getting an office in this building." Aside: the Japan branch of Shibuya Productions is located in Hokuto city, Yamanashi prefecture. Why Hokuto city? We hear it's because the name is similar to "Hokuto Shinken" (Fist of the Big Dipper)?! 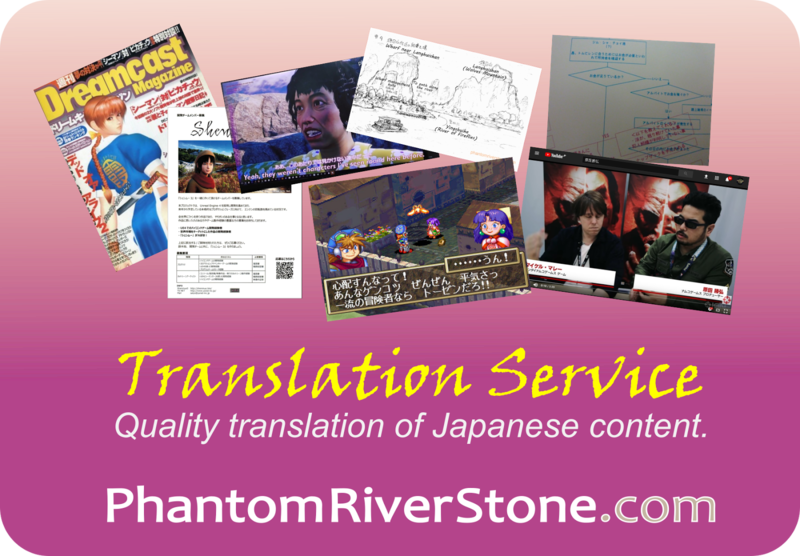 Translation to English by Switch at phantomriverstone.com.